Total Clean Solutions Anti Foul Removal. TCS is a Professional Industrial Cleaning Company based in Immingham, NE Lincolnshire. Total Clean Solutions understand the importance of keeping your vessel in a well maintained condition. For most yachtsmen, stripping the antifouling off the bottom of the boat is one of the worst maintenance jobs of the winter. With Total Clean Solutions it doesn’t have to be such hard work. 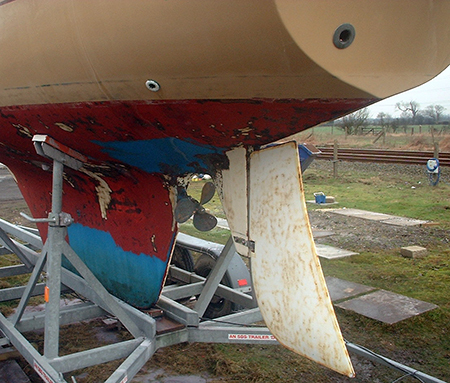 There are several different ways to strip antifouling. You can either remove it . by hand using a scraper or apply a chemical stripper, such as Dilunett or AF Interstrip. Neither technique is very pleasant, and both are hard work and time consuming. The alternative is to engage the services of Total Clean Solutions to remeval yours boats anti-foul. The result of blasting a hull would be very smooth, even shiny in some areas. In fact on tests it was so smooth that the hull may require keying before a primer or the new antifoul is applied. However, this allowed perfect cleaning and antifoul removal above the waterline even on the gelcoat as its non abrasive, without any damage at all. If you have any questions regarding Total Clean Solutions Anti Foul services please call using the numbers above or contact Total Clean Solutions by our online contact form, we are always happy to assist you with any Anti Foul questions you may have. If you feel you would like to receive a quotation for a Anti Foul job, you can either get a online quote with the ability to send Total Clean Solutions photo's of the job that needs cleaning or call on any of numbers above.